The Y-Cafe is not on the “List of Hipster Cafes” and you may not find many Generation Y patrons there. However, if you need a good affordable meal in Orchard Road, the YMCA Cafe at One Orchard can be a great option. 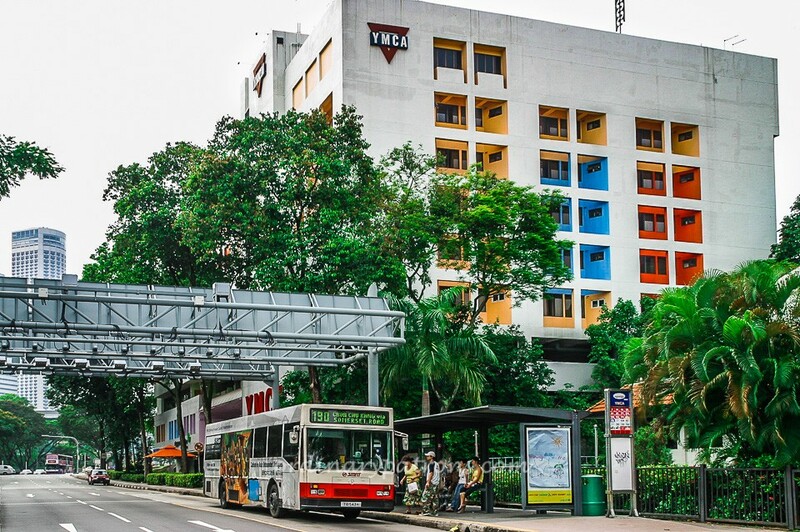 It is located on the 2nd level of the YMCA International House, which is next to the National Museum and just a few minutes walk from the Dhoby Ghaut Station or the Bras Basah Station. Simple Western and Asian food are available and the local dishes are quite popular among the regulars. The casual cafe’s decor is simple, neat and unpretentious. Tables are well spaced out. The glass panels let in plenty of natural light and allow those inside to get a good view of Orchard Road and the surrounding. The cafe serves guests staying at the YMCA International House @ One Orchard, which means it opens early for breakfast. The Y-Cafe does not have an extensive menu but you can get sandwiches and salad as well as a variety of mains such as Teriyaki Salmon ($13.80), Breaded Mini Steak ($11.80), Grilled Cajun Chicken ($10.80), Oxtail Stew ($14.80) and Fish & Chips ($9.90). 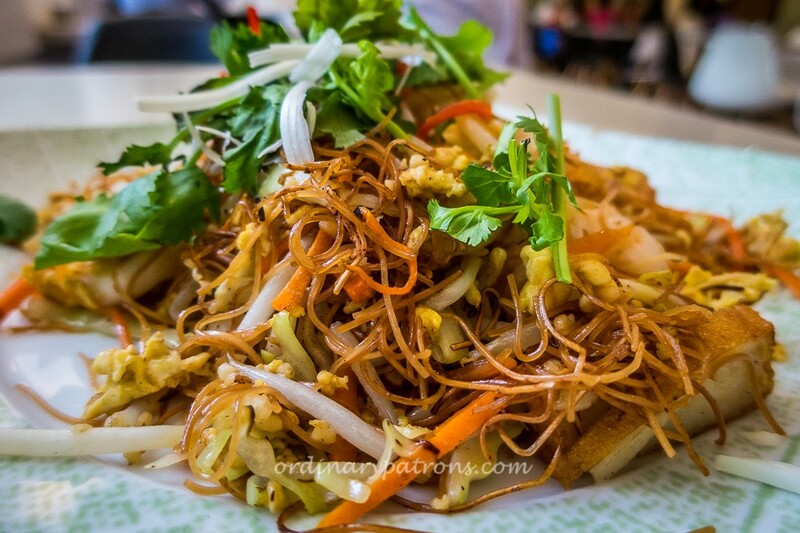 The “Local Favourites” on the menu include Mee Siam, Fish Bee Hoon Soup, Beef Hor Fun, Hokkien Noodles, Mee Tai Bak and Chicken Rice, all priced below $11. A cup of latte or cappuccino will cost $3. We went there for a quick dinner and ordered the popular Nasi Ayam Goreng Special ($10.80) and a new item on the menu, Fried Mee Sua ($9.80). 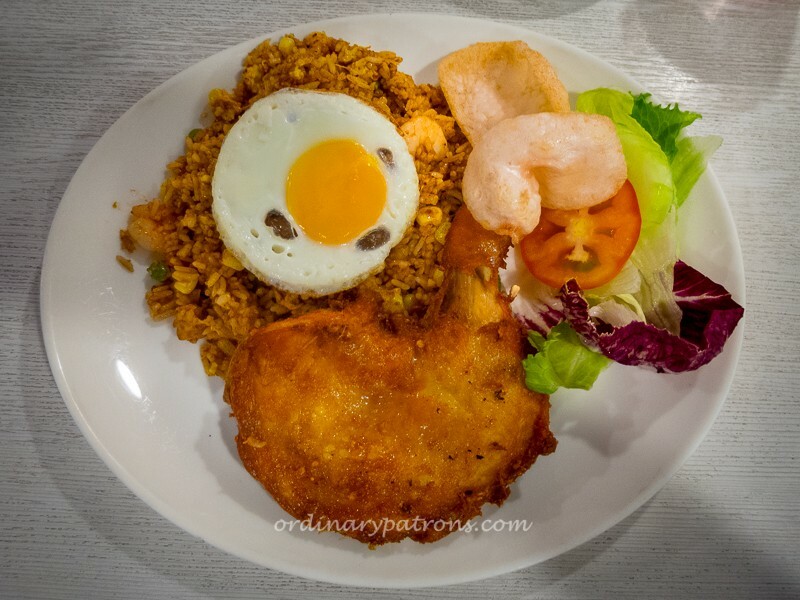 The Nasi Ayam Goreng was sambal fried rice topped with an egg and served with a very sizeable piece of fried chicken. The chicken was well marinated and deep-fried to a golden brown. It was meaty, succulent and tasty. The chicken could have been a meal by itself but the fried rice was also delicious, and so we finished up everything. 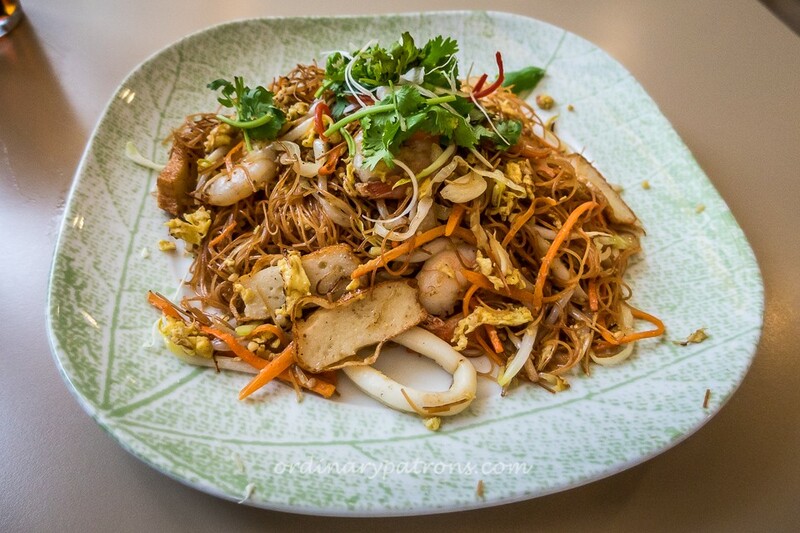 The Mee Sua (thin salted wheat flour noodles) was fried with seafood and assorted vegetables. It was fine but not particularly interesting. The staff recommended that we try the Hainanese Beef Hor Fun the next time. We were told that the wok fried noodles with sliced beef in oyster ginger sauce rivaled the popularity of the Nasi Goreng. The Oxtail Stew is also reputed to be good. The curry fish head special on weekends is another popular item. We found the staff to be patient and accommodating. There was a table where the customers wanted vegetarian dishes. The staff politely went through the menu items and explained which dish could be modified to become vegetarian dish. Generally, there was a certain calm and unhurriedness about the place. There was no loud music or people rushing about. The Y-Cafe is different, in a good way, from the many swanky restaurants and hip cafes in the city. In a sense, it is an elemental cafe – it has a clean cheery setting with good food at very reasonable prices. It is also nice to know that as a social enterprise, all their profits go towards supporting the YMCA’s programmes for the intellectually disabled and at-risk youth. 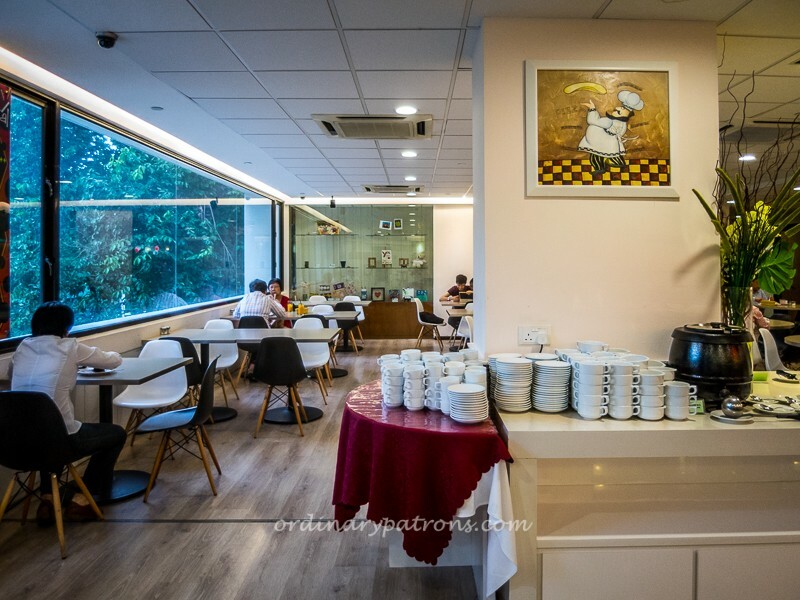 The next time we need a simple meal in the busy and highly commercialised Orchard area, we will certainly consider the Y-Cafe.